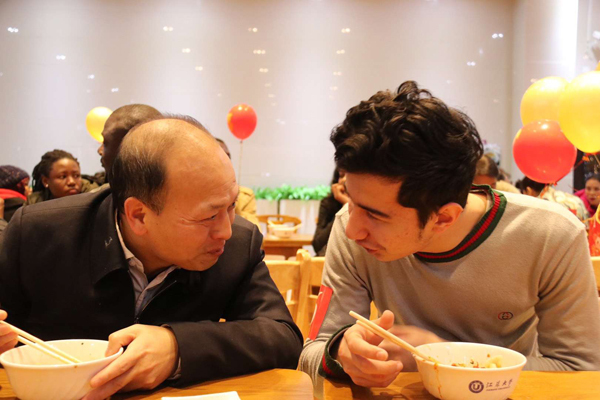 School officials as well as staff members who immensely helped the overseas student work attended the party. 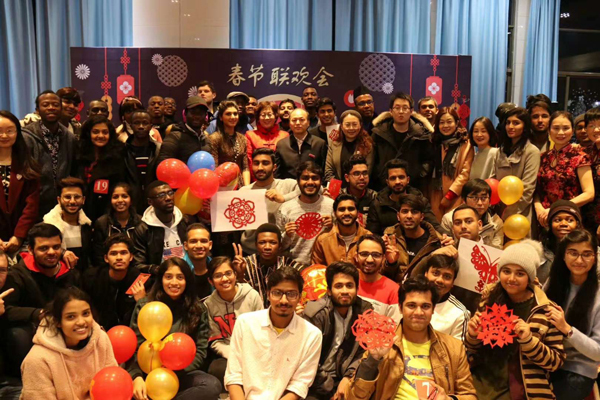 The celebration included diversified talent shows, such as the exotic dance from Bangladeshi and Indian students and the qipao show staged by faculty members fully showing their beauty and elegance. At the lucky draw part, some "lucky dogs" were awarded with hongbaos, or red envelopes, which are usually filled with money given by Chinese people to their family and friends. Sending hongbao is a time-honored tradition particularly prevalent in the Spring Festival holiday season, as sharing one's auspicious blessings with others. On the sidelines of the party, overseas students teamed up in different groups and actively tried their hands at making dumplings. They kneaded the dough, mixed the ingredients, prepared the skin and shaped the dumplings, before finally boiling them. The students were impressed by the celebrations of Spring Festival, and also added new episodes to their holiday experiences. 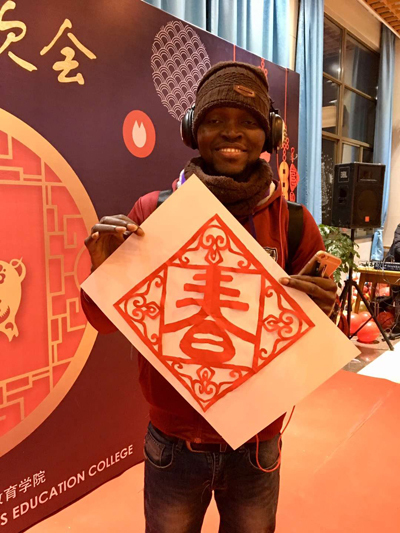 A school known for its open and inclusive environment, Jiangsu University has been rising as a popular choice for international students to further their education in China. The school arranges multiple cultural immersion activities for international students every year.